Bar and Bat Mitzvahs remain a commemorative day to celebrate your child among family and friends. When searching for the right party theme to best represent your child, it may seem like there are endless options. From the color scheme to party rentals and cake to favors the event planners at The Manor have experience in planning bar mitzvahs and bat mitzvahs. 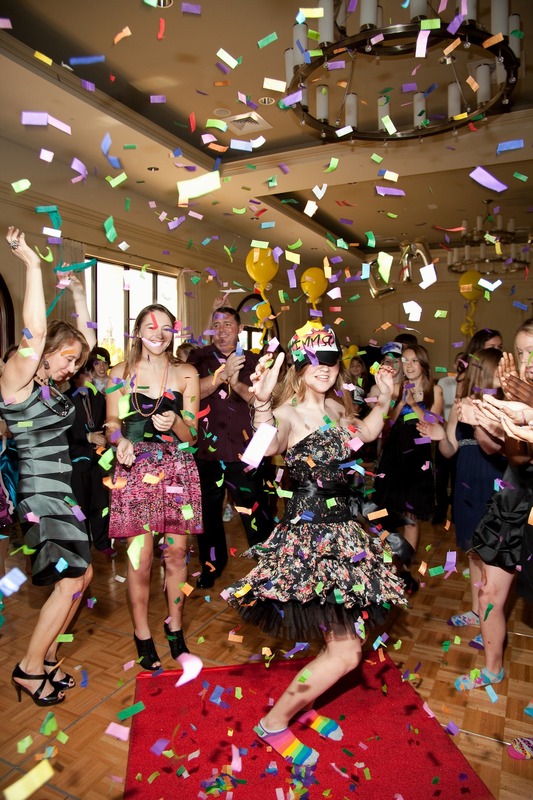 When it comes to hip entertainment and creative décor elements, our party planners share the latest trends to perfect your child’s mitzvah celebration, yet able to stand out from the rest. A neutral room is an ideal canvas for decorating depending on what the venue allows, hosts can create a “wow” factor by encompassing unique and fun visual elements when guests enter the party. The angles of the venue including the ceiling provide a space to direct guests’ attention or complete a party theme. For an energizing and fun effect, overhead slinkies will add depth and create a bold display, while hanging crystals or long stemmed flowers exude a romantic and elegant feel. Hanging artwork adds a visually appealing concept while paper lanterns can create a subtle, airy and ambient glow. Additionally, backdrops help to create focal points within a space such as a cartoonist, design station, or a dessert table. Consider featuring paper origami, draping gold satin, mounting colorful balloons, or stringing gobo lights to brighten dim areas and help to incorporate your event theme. How the guest of honor arrives can really get the party started. A special entrance such as creating a silhouette using a large screen or even driving into a party on a scooter or golf cart can make for fond memories. Make your child feel special by having friends carry them on a throne, luxurious cushion, or even a surfboard. For sports-themed events, have your child run through a breakaway wall or have friends line up and cheer with pompoms. Take your Bar and Bat Mitzvah beyond traditional dancing and DJ entertainment and incorporate virtual reality stations. Games such as home run derby can simulate real life sporting experiences from a variety of stadiums and can report precise data of distance and speed. Additionally, photo-booth features now offer color-changing lights and are instantly shareable on social media. Hi-tech photo booths can include photo morphing to turn guests into a celebrity or cartoon, GIFs that create multi-frame photo animations and slow-motion videos with five-second clips capturing guests dancing or throwing confetti. Hosts can also create a Snapchat custom geo-filter and include a social media hashtag for guests to use. Share the memories on the big screen by live streaming during the event. For fun with food pop-up stands such as donut shop, burger slider or sushi stations give guests a personalized dining experience. Carnival food stands or street taco stands can allow for fun selecting premium toppings and flavors. Lastly, an unforgettable bar or bat mitzvah is one that goes beyond the event itself with a mitzvah project which helps serve a community cause. Causes are often unlimited, so narrow the options down by considering your child’s passions and abilities. If a child has a passion for art, have them host a gallery to raise money. Conversely, you can have sports fanatics volunteer hours to a youth league. There are endless options from animal fundraisers, charitable causes, and teaching/raising money for children with disabilities. These party trends are sure to have thirteen-year-olds and adults raving and making lasting memories from your child’s birthday. The event planners at The Manor can are ready to help you personalize your child’s Bar or Bat Mitzvah. From picking an event theme to incorporating trending entertainment and décor ideas contact us today. Mazel Tov! This entry was posted on Wednesday, May 17th, 2017 at 3:27 pm	and is filed under Bar Mitzvah, Bat Mitzvah, coming of age party, Events Venue, Milestone Events. You can follow any responses to this entry through the RSS 2.0 feed. Both comments and pings are currently closed.